Rent affordable charter buses, school buses, mini buses, shuttle buses, party buses, and limousines in Wichita, Kansas. Rent a bus in Wichita for your event. We cover all of Wichita with buses, and since it is a great place for events or bus trips there is no need to go outside of Kansas to experience a fulfilling sightseeing experience. 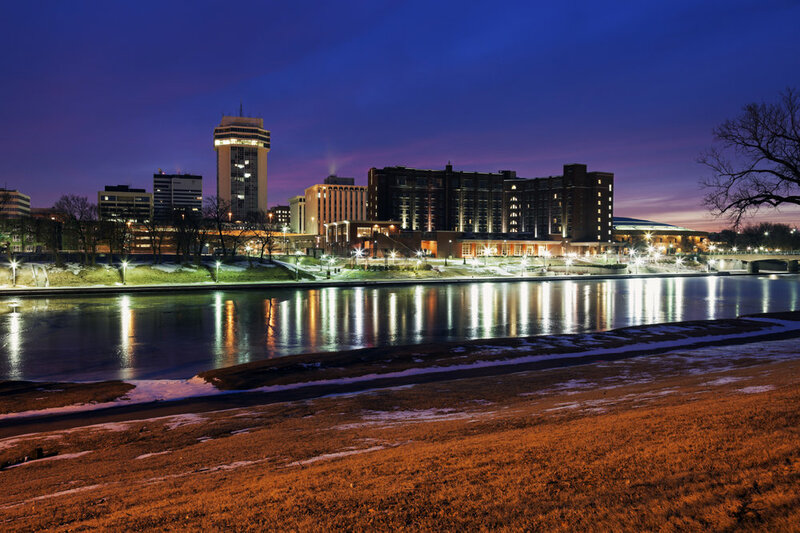 Moreover, Wichita spells a perfect location for industrial and entertainment sites that touch culture, education, commerce, leisure parks and its popular aircraft industry. Enjoy the beauty of Botanica, The Wichita Gardens, the entertaining Sedgwick County Zoo and the Great Plains Transportation Museum. Get a bus and explore everything around this diversified economy. Get started with your bus rental by filling out the form below for a free quote!